Australian challenger bank Judo Capital has selected banking software company Temenos as its breaks into the country’s SME sector. Judo Capital is set to use the Temenos T24 Core Banking, Channels, Analytics and Financial Crime Mitigation solutions to to power its charge into the business banking sector. According to Temenos, the Temenos Cloud makes a perfect fit to the fully cloud-based, API-centric, technology ecosystem created by Judo Capital. The banking software firm said that its cloud suite will enable the Australian bank to completely focus on its customers instead of managing IT systems. Judo Capital, co-Founder and CIO Alex Twigg said: “With the big banks’ shift to industrialization and centralization, SMEs have lost the human interaction and tailored service that they so deserve and crave. Judo Capital currently caters to Australian small and medium-sized (SME) businesses, providing them business loans, lines of credit, finance lease, equipment loan and home loans. Temenos, on the other hand, claims to be the first banking software provider to introduce a cloud offering operating on Microsoft Azure. Since 2011, the company’s Temenos T24 core banking solution has been available as a managed service on the Temenos Cloud. The banking software company revealed that the T24 core banking solution will leverage the API layer to integrate with the existing systems of Judo Capital through its zero trust network and identity management system. 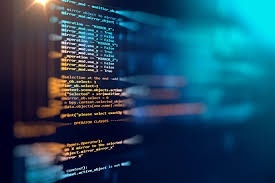 By this approach, Temenos said that it becomes easy for the Judo Capital platform to connect with additional third-parties, thereby creating an open banking environment. Temenos APAC managing director Martin Frick said: “Temenos technology will enable Judo Capital to benefit from a modern, end-to-end digital banking system, giving them the ability to offer their clients a fully digital and personalized experience that will scale.